This is the first in a series titled “DGC Rewind”, pioneered and written by our summer intern, Julia Tomasek. Before finding our niches in the whirlwind world of PR, many of us here at DGC have experienced an array of previous jobs that were interesting, unexpected, and even humorous, helping to enrich our already effervescent office environment. By digging into the past employment of my fellow coworkers, I aim to showcase the diverse pool of characters we have working here at DiGennaro Communications. The “DGC Rewind” blog series will introduce readers to the multi-faceted experiences of my coworkers that shaped the unique, hard-working individuals they are today. DGC founder Sam DiGennaro (aka Sammy D) used to spend her college summers supervising rowdy kids as well as manning a mini-bus to transport them to and from “the world’s best day camp.” A favorite among campers and counselors alike, Sam had patience and bottomless energy, two traits that won her the “Counselor of the Year” title at the camp. Sam’s “celebrity” status at the camp even landed her a spot in their national commercial, where she was shown directing her troops into the mini-bus she drove, transporting them to a typical fun-filled day at camp. (See video at 0:09). DGC’s President, Howard Schacter, also has a noteworthy occupational past. In the mid-90’s, Howard’s sports-marketing/PR job sent him on a month-long journey to the Maui Invitational NCAA Basketball Tournament–all expenses paid. It was an ideal trip for the self-proclaimed basketball junkie, providing Howard the opportunity to meet some of his favorite players and coaches like Dean Smith and Bob Knight. 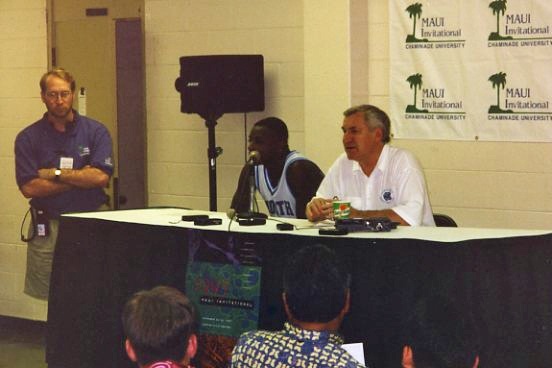 Above, DGC’s Howard Schacter presides over a press conference with University of North Carolina’s Coach Dean Smith and guard Jeff MacInnis at the 1995 NCAA Maui Invitational. However, the saying “work hard, play hard” definitely resonates here, as Howard and his colleagues were responsible for transforming Chaminade University’s small-scale recreation center into a major venue to facilitate media coverage and relations for the 75 press who attended the event. Howard’s experience with this sports-marketing firm is reflective of DGC’s brand message that working hard does not necessarily have to be painful. It can be fun, too. Can a guy really be this stupid? I found myself pondering that question over the past 24 hours in regards to the Rep. Anthony Weiner (D-N.Y.) scandal. I wanted so badly to believe that this time there really would be a plausible explanation for this kind of situation. Certainly, Weiner read the coverage when his House colleague Chris Lee resigned under a cloud of humiliation for a similar transgression. Certainly, he read the coverage of Brett Favre’s cell phone seduction of NY Jets sideline reporter Jenn Sterger? The answer is that Weiner of course saw the coverage, as well as the countless other instances of steamy texts and lewd pictures sent by a very powerful and very public man to a woman that’s not his wife. So, what causes a man of seemingly sound mind (and influence) to give in to the temptation of sordid, online behavior? Especially after watching, time and again, the devastating consequences to his family and career? I believe the answer lies in one of the character traits that helps propel people to the top in the first place. Whether it’s a superstar athlete, an elected official, or a Fortune 500 CEO, at least part of what drives the ambition to reach the peak of the career pyramid is ego. That’s not a bad thing, mind you. Hey, whatever it takes, right? Ahh, but sometimes, as Mr. Weiner and those before him have learned, the “my s—t don’t stink” attitude leads to behavior that, well, stinks. Here at DGC we’re fortunate to counsel some very talented and successful CEOs. They are some of the smartest, most visionary business leaders I’ve had the pleasure of working with. Sometimes, though, a crisis rears its head and we find ourselves suggesting a communications path that’s stunted by, well, ego. “That’ll never happen to us,” a CEO will declare when told the negative coverage a certain action (or inaction) will have. We’ll stay resolute, but on some rare occasions ego has won over reason. And the results have been disastrous. The truth is, I’m not sure there’s much you can do when the CEO holds his or her ground like that. Perhaps have a clip book handy – of Mr. Weiner. And Mr. Lee. And Mr. Favre. We’ve heard a great deal of debate about the evolving demands of clients over the last year. Many have said that, since the recession, client expectations are harder to manage and most clients desire more for a lot less. But what about those potential clients not yet on your roster? Are you having to invest more dollars and time upfront to get them in the door? Has the recession caused you to approach potential clients differently? PRWeek recently asked DGC’s Howard Schacter to weigh in on this debate and answer: Have clients become more vigilant in the pitch process since the recession? Howard argues in this point/counterpoint that clients continue to demand the same deliverables they’ve expected for at least the last 25 years — solid strategy, big thinking and results that move their business forward. But even he admits, those results are much more grounded in measurement and data. Go to PRWeek to read more and let us know here: What side of the debate would you take? We all know that identifying a newsworthy trend is a critical strategy in persuading a reporter to jump on a story. Well, there’s one such trend that’s not getting much coverage, and yet it deals directly with the media themselves. In fact, from where I sit, it’s having perhaps the single biggest impact on elevating the strategic counsel we’re delivering to our clients. The trend I’m referring to is the leap to a career in PR that so many business and marketing editors are pursuing nowadays. Whether it’s a contraction in publishing, work/life balance, the opportunity to try something new, or financial upside, it seems each week we’re hearing from another influential journalist looking for insights about making such a switch. Here at DGC, we’re thrilled to have added three former journalists to our growing team and the results could not be more positive. Our Chief Content Officer, Melanie Wells, joined us late last year from Forbes Media, where she served as an executive editor; Kathy Sampey is a seasoned former journo from Adweek; and Megan McIlroy cut her teeth as an agency beat reporter at AdAge. These outstanding execs took to PR agency life like a fish to water, and certainly much of it is because we specialize in an industry they already understood. For us, their editorial training delivers incredible value every day – the ability to quickly synthesize complex business stories, package them for media just as they would have wanted to receive them, and, sometimes, call a story b.s. if it has too many holes. Of course, it should go without saying that their writing is exemplary, too, which benefits our entire team. I’m not a fan of giving away any ingredients to our secret sauce, but it’s clear the cat’s out of the bag on this one. Journalists are flocking to PR fast, and I encourage my peers to give them great consideration. They’ll be your superstars of tomorrow. Many PR pros shudder at that question from clients or prospects and it’s understandable. How do you determine the right metrics to measure earned media, a platform that – while near and dear to my heart – offers little control of message, difficult monitoring challenges, and significant subjectivity regarding qualitative analysis. These reasons, among many others, are the basis for the reality that finding a universal measurement approach is the Holy Grail of PR. Fortunately, Advertising Value Equivalency (AVE), a metric I’ve long-disdained, appears to have finally been kicked to the curb by the PR industry. A few days back, the PR Week Awards, among the most prestigious awards in the business, announced that AVE would no longer be accepted as a measurement of campaign effectiveness. This follows last year’s pronouncement that AVEs should not be viewed as an effective value of PR, as included in the Barcelona Principles. The Barcelona Principles are a series of measurement and evaluation practices to guide the industry developed by the Institute of Public Relations. AVEs simply measure the cost of media space. For example, if you appear on a local lifestyle program for five minutes and the cost of a 30-second spot on the same show costs $5,000, the AVE is calculated as $5,000 x 10 = an AVE of $50,000. I always thought that was nonsense. Glad to know my peers agree. I don’t have the answer to the right measurement approach to PR, and as an agency we prefer to collaborate with our clients to determine the mix of metrics that work best for them. However, I do believe wholeheartedly that the mix should include both quantitative and qualitative measures, with a bias toward real shifts in awareness, comprehension, attitude and behavior related to purchase, donations, brand equity, corporate reputation, employee engagement, etc. Much more on this topic to come, but for now, bravo to the death of AVE.
Just when you thought the blogosphere was at maximum capacity for another Charlie Sheen point of view, I’m throwing my own tiger blood into the fray. 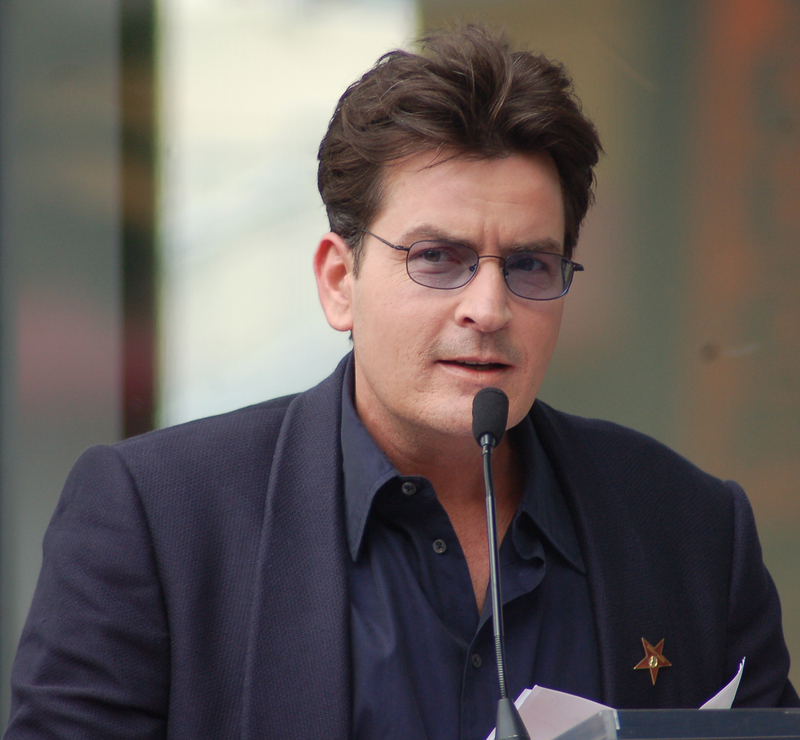 Truth is, having created partnerships for brands with a host of celebrities and athletes over the years, I am fascinated with Mr. Sheen and equally fascinated with America’s fascination with the story. But I’m hardly surprised. The result of our partnership was nothing short of incredible. 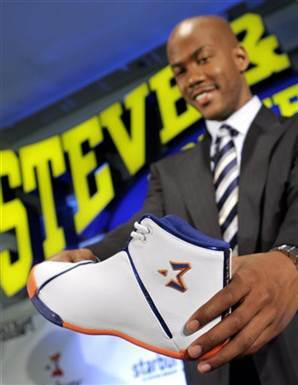 With a campaign fueled exclusively by social media and PR, the Starbury brand became one of the biggest marketing stories of the year, and arguably changed the sneaker business forever. Within weeks of a launch that saw thousands of customers wait hours in line just for a pair of $14 kicks, virtually every major sneaker company introduced their own entry-level offerings in our category. Suffice to say, Charlie Sheen’s exploits bring back a lot of memories for me. They also remind me of a few valuable lessons. First, celebrity sells every time, especially when you have to rely on earned media to spread your word. 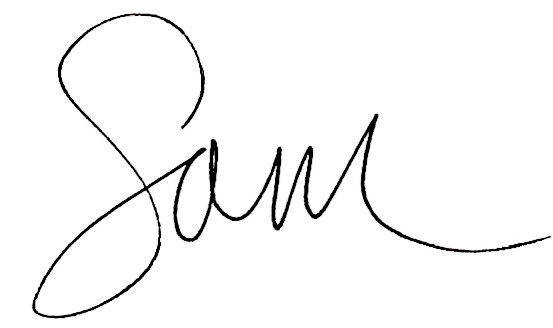 Second, celebrity sells better when their message is authentic. And as we’re seeing, it doesn’t matter whether the message is sad or noble. If it’s real, we’ll pay attention. Welcome to The Hit Board, the official blog of DiGennaro Communications. We decided to launch our blog during the 4A’s Transformation Conference because DGC is deep in the throes of its own exciting Transformation. Fast & Furious Five: In January 2006, DGC had its official ribbon-cutting as a two-person team. Five years later, DGC now has close to 25 full-time practitioners – and our very own President, Howard Schacter– who strive each and every day to make our agency the leading PR partner for marketing communications, digital, media and entertainment companies. Thanks to this growth we relocated in January to a cool, new loft space in the Flatiron District. That’s a step up! Content is Queen: Melanie Wells, a former executive editor at Forbes and creator of its highly successful CMO Network, recently joined DGC to lead a new practice that we call Shine. Shine is a thought leadership and content development offering that focuses on executive positioning for organizations’ C-suites. This is an exciting new foray that we believe will help differentiate our clients from the industry’s indelible white-noise. The Hit Board: Since its inception, DGC has guided the thought leadership and social media efforts for clients ranging from global agencies to hotshot boutiques. Now that we have our own internal bandwidth (no time to focus on ourselves when there’s client work to do! ), it’s time to practice what we’ve been preaching. The Hit Board is one of several new distribution channels you’ll be seeing from DGC in the coming weeks. This blog seeks to be a wellspring of ideas, news, videos, photos and commentary that are relevant and useful to the marketing communications industry at large. Transformation can be a scary and difficult journey for companies and individuals. Believe me, in 2006 nobody was sure about what was next for the industry and that hasn’t changed a bit. But DGC opened its doors confidently in the middle of the nascent stages of the social-media boom, and we continue to be just as excited now as we were then about the future of our industry. More important, we are better equipped than ever to participate in its continued evolution. We welcome your engagement and feedback in our social-media efforts, which start right here in Austin, Texas, at the 4A’s Transformation Conference. You’ll hear from executive attendees via video interviews and editorial postings. Thanks for your continued support. Next up is SXSWi, where we’ll continue our live blogging updates. Hope to see you in Austin…or on The Hit Board!